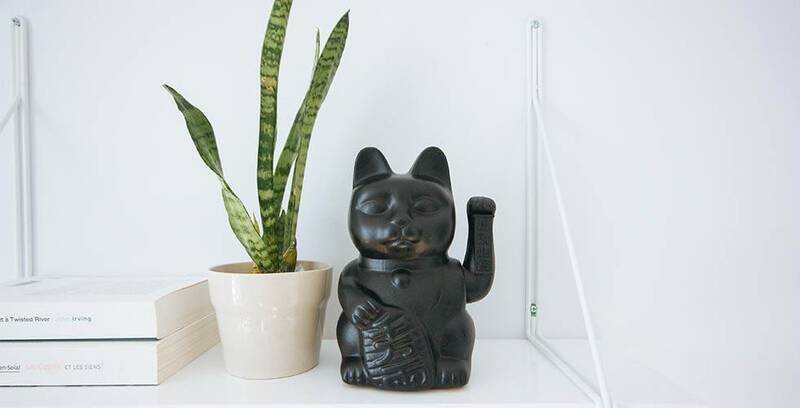 Household plants are a common way of brightening up a room and bringing life to a space but something as beautiful as a vase full of flowers can be toxic to your cat. Plants are one of the common household dangers you should look out for! There’s a whole host of toxic plants, grasses and flowers that can be poisonous to your cat and can cause upset stomachs, swelling, vomiting or worse. Even plants that have multiple health benefits for humans like Aloe Vera, are poisonous to your cat, so you might just have to find another way of treating that sunburn. 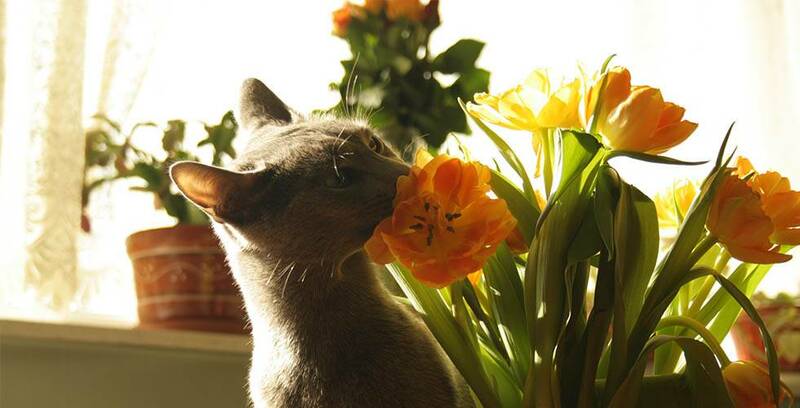 Step away from the tulips, pudda! 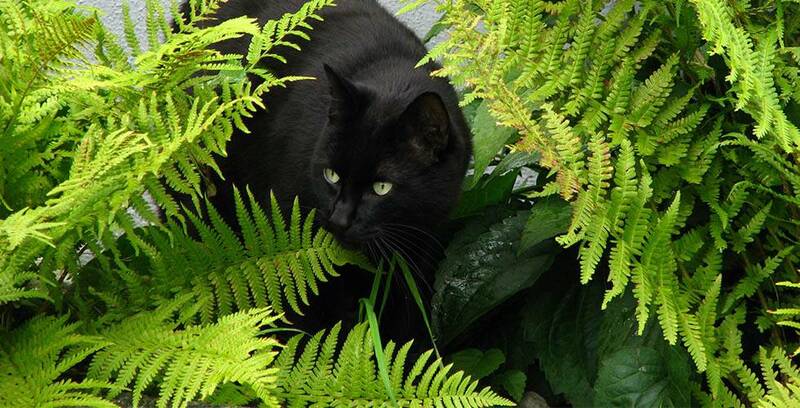 Big Sooty purr-fectly demonstrates how ferns are for hiding, not eating. What did you do to the cat Mr Snake Plant?! While you can control the plants that you bring into your house it’s much more difficult to control the types of plants your cat comes into contact with in the outside world, and your cat is unlikely to read or understand this list. A cat run or enclosure is the perfect com-purr-mise allowing your cat the freedom of the outdoors that it craves while ensuring it doesn’t come into contact with any potentially poisonous plants growing in its territory. It may seem like a dauntingly long list but there are plenty of safe treats and foods for your cat. Find out more about what you should and shouldn’t be feeding your cat here.